My baby is turning three! Three years ago I gave birth to a new comedy show. I can’t believe it’s grown up so fast. This Wednesday, June 19 you are invited to come and celebrate it with me! 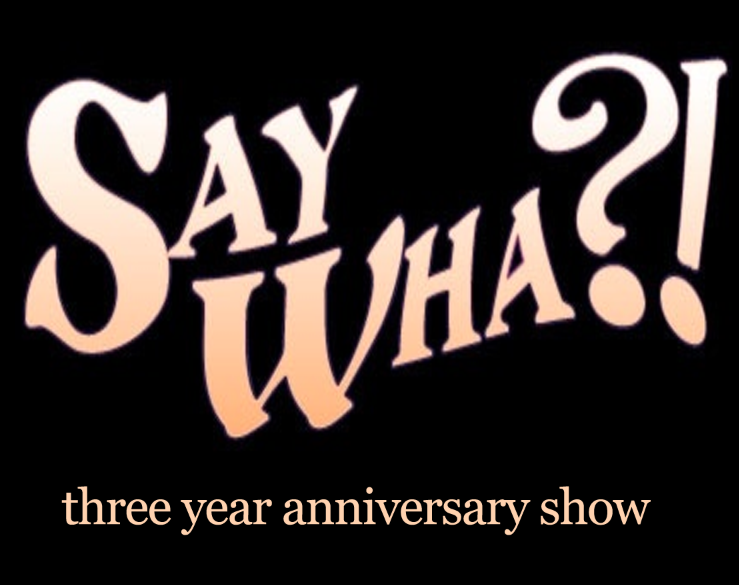 WHAT IS SAY WHA?! READINGS OF DELICIOUSLY ROTTEN WRITING? Have you ever read a poorly written novel and thought to yourself, who publishes this crap? Or come across a hilariously out of date self-help book in a thrift store? Perhaps you flipped through R. Kelly’s autobiography and was shocked that he once stripped as Darth Vader? Now imagine some of Vancouver’s funniest and most charming performers reading from those books. Well, that’s what Say Wha?! is all about. Say Wha? has been featured at the Vancouver Comedy Festival, the Vancouver International Poetry Festival, the Vancouver Fringe Bar, Comedy Waste and in the Olio Festival. Never been? Well, now it’s a PODCAST! You have no more excuses. Go and listen and laugh.